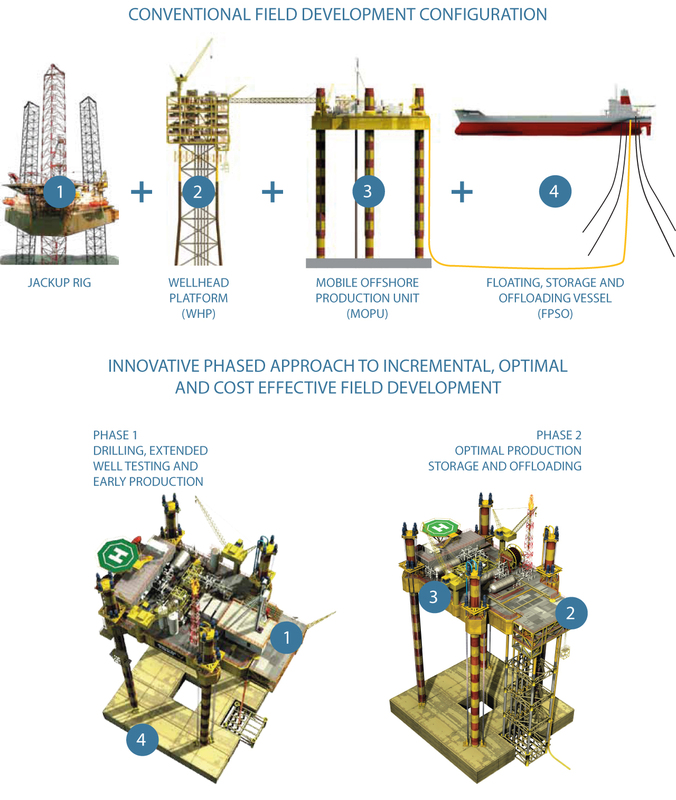 Offshore oil & gas field developments typically adopt the “satellite principle”, where existing pipeline network and production facilities in the vicinity are used to minimise CAPEX. The remaining unexploited fields are often located in remote locations with little or no infrastructure and of a size or nature that often makes it impossible to predict with certainty the amount or composition of recoverable hydrocarbons in place. These fields are often referred to as small, marginal, unconventional reservoirs or stranded assets. It is widely acknowledged that economics of exploiting stranded assets are easily affected by changes in basic economic parameters such as capital expenditure, time to first oil, operating costs, production levels, recoverable reserves and even abandonment costs which can have a major effect on the profitability of the venture. If a field is marginal because of the uncertainty over the level of reserves, a period of pre-production often referred to as extended well testing will give additional reservoir information and will reduce uncertainty thereby leading to improved decision making. Unlike other systems that rely on drilling rigs, separate wellhead platforms, pipelines or an FSO, the MOPSUTM uses an optional modular drilling rig, integral storage and a MOPSUTM installed detachable wellhead platform with the entire system (with the exception of the wellhead platform) fully recoverable and reusable. With the MOPSUTM, field owners or operators will be able to exploit these so called stranded assets in an incremental, optimal and cost effective manner.